Fujian Medical University (FJMU) was founded in 1937. With the mission of creating and nurturing a diverse community of elites who are "diligent, prudent, truth-seeking and innovative", for over 76 years, it has developed an integral education system offering bachelor's, master's and doctor's degree programs. In 2003, FJMU was approved by Fujian Provincial People's Government as one of the key universities for priority development. Now, it consists of Shangjie campus and Taijiangcampus,covering an area of approximately 87 hectares with a floor space of 400,000 square meters. FJMU currently provides 25 bachelor programs, including Clinical Medicine (7-Year Program and 5-Year Program), Stomatology, Preventive Medicine, Medical Laboratory Tests and Analysis, Anesthesiology, Medical Imaging, Nursing, Pharmacy, Public Utilities Management, Social Work, etc. At present, in Basic Medical Sciences, Clinical Medicine, Clinical Stomatology and Pharmacology, FJMU confers doctoral degrees, as well as master's degrees which also cover Biology, Stomatology, Public Health and Preventive Medicine, Integrative Medicine, Pharmacy, and Social Medicine and Health Care Management. The University has a full-time enrollment of 12,000 undergraduates, and over 2,200 postgraduate and doctoral students. It has been approved to offer undergraduate programs to students from mainland China, Hong Kong, Macao, Taiwan, and foreign countries. 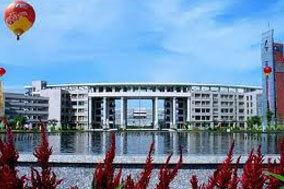 In addition, it has established a multi-disciplinary and multi-level continuing medical education system. Now, FJMU's 477 professors and chief physicians, along with 682 associate professors and associate chief physicians, make part of its faculty members and medical personnel totalling up to 5,638, in which there are 528 master's and doctor's supervisors. Our network of 13 affiliated hospitals (including schools of clinical medicine) and 29 teaching hospitals, affords desirable clinical teaching programs and training opportunities for medical students. In FJMU, there are 2 research stations that offer postdoctoral fellowships (for Clinical Medicine and Basic Medical Sciences), 1 key laboratory of the Ministry of Education, 7 key laboratories & research centers jointly supported by the Ministry of Education and Fujian Province, 12 provincial key disciplines, 5 key laboratories of Fujian, and 19 provincial scientific research institutes. The University publishes several academic periodicals, entitled Journal of Fujian Medical University (Medical Science Edition), Journal of Fujian Medical University (Social Science Edition), Chinese Journal of Hypertension, and Chinese Journal of Cardiovascular Rehabilitation. Today, as a medical center in the Western Taiwan Straits Economic Zone, the University is fully committed to her mission to cultivate medical minds, conduct scientific research and development, explore disease diagnosis, treatment, and prevention, and to provide health care and social service. The School of Basic Medical Sciences was established in January 2001 as the former Department of Basic Medicine founded in 1959. The School has assumed a teaching task of preclinical medicine for all majors and some public fundamental courses, as well as educational management for freshmen, sophomores and juniors of Clinical Medicine (seven-year and five-year programs) and for freshmen upgrading from junior america.html to university majoring in clinical medicine. The newly established majors of the School include Clinical Medicine (Clinical Pathology), which started to enroll students in 2007; and English (Four-year Program for Medical English), which started to enroll students in the fall of 2008. The School has a well-structured teaching staff providing skills of a high quality. There are, 261 teaching and administrative staff in total. Among the 181 full-time teachers, 24 are professors, 51 are associate professors, 10 are doctoral supervisors and 45 are master supervisors. Among the teachers of basic professional courses, 40 hold Doctor’s Degree while 92 have Master’s Degree, accounting for 73% of the total. There are 20 doctoral candidates and 29 master candidates. 9 receive special subsidies from the State Council, 1 was awarded the “National Outstanding Teacher”, 2 were titled “Provincial Teaching Master” and 1 team was awarded "Provincial Innovative teams of Higher Education". There are 12 selected by "Fujian Millions of Talents Program", 14 chosen by the university as training objects to become academic pacesetters and 12 young leading teachers. The School is active in educational reform. Taking the establishment as an opportunity, the school adjusts and develops subordinate disciplines of preclinical medicine and transforms the organizational system from original teaching-and-research-section mode to present branch-department mode. The School has now set up seven academic departments, including Human Anatomy & Histology and Embryology, Physiology & Pathophysiology, Pathology, Pathogenic Biology, Immunology, Biochemistry & Molecular Biology, Cell Biology & Genetics, as well as two teaching divisions – Mathematics & Computer Science Division and Foreign Language Division. The School has established The Fujian Teaching Demonstration Center of Preclinical Medical Experiment, which is divided into five teaching laboratories – Integrated Laboratory of Functional Medicine, Integrated Laboratory of morphology, Laboratory of Biochemistry & Molecular Biology, Integrated Laboratory of Pathogenic Biology, Integrated Laboratory of Human Anatomy, all of which further promote the reform of experiment teaching in both content and methods. The School focuses on discipline construction, while working hard on building research bases and developing programs leading to degrees. As a result, three research centers of Molecular Medicine, Stem Cell & Regenerative Medicine and Neurobiology, as well as a sharing service center of large apparatus, have been successively established, promoting the School's scientific research and increasing the number of programs year by year. At present, the School has formed its own advantages and characteristics in Molecular Biology of Tumors, Infection & Molecular Biology of Immunity, and Neural Molecular Biology. Two programs of Pathogenic Biology and Pathology & Pathophysiology for doctor's degree have been set up, so do ten for master's degree, covering two first-level disciplines of Preclinical Medicine and Biology. Molecular Medicine has been granted as a key discipline of "211 Project" at provincial level. There are four provincial key disciplines – Pathogenic Biology, Pathology & Pathophysiology, Human Anatomy & Histology and Embryology, Biochemistry & Molecular Biology; seven provincial excellent courses – Pathology, Anatomy, Biochemistry, Physiology, Microbiology, Histology and Embryology, Functional Medicine; two high-quality courses for master's degree at provincial level – Medical Molecular Biology and Advanced Pathology; four provincial high-quality courses for master's degree approved to be constructed – Clinical Anatomy, Advanced Biochemistry, Molecular Virology, Immunology. The mobile station for postdoctoral scientific research of basic medical sciences was approved in 2009. The School has been equipped with such research institutes as Laboratory of Tumor, Laboratory of Genetic Engineering and Fujian Engineering Center of Reproductive Medicine. In the past five years, the School has undertaken more than 141 funded projects, winning the fund of more than 15,000,000 RMB in total, among which 9 are supported by Chinese National Natural Science Foundation, 13 by Ministry of Health or Ministry of Education, 45 by Fujian Natural Science Foundation, 53 by provincial health department or education department, 24 by Professor Fund of FJMU and 5 are key project of FJMU. In the 18 scientific research awards won by the School, 16 are fist prize for Provincial Scientific and Technological Progress and the other 2 are second prize. The published papers numbered more than 500, 35 included in SCI and more than 200 in CSCD. Non-Chinese citizen with a valid foreign passport and in good health. A high school diploma or higher educational background with good grades if pursuing the bachelor's degree. A bachelor's degree or higher qualification with good grades if pursuing the master's degree. Language requirement: English is good enough to study all the courses. "Application Form for International Student"
Physical Examination Form for Foreigner. About Fuzhou : Fuzhou, the capital of Fujian Province, is the political and economic centre and the largest industrial city in Fujian,receiving much of its investment thanks to its proximity to Taiwan. The city boasts a total history of around 2,000 years, dating back to the third century AD when it was known as Yechang. It is also still substantially influencedby Buddhism--altogether there are six state-listed key temples in Fuzhou (Yong Quan Temple, Xichan Temple,Linyang Temple, Dizang Temple, Wanfu Temple and Xuefeng Temple), the largest number in China. The city is also known for its profusion of springs, some estimate up to a seventh of the urban area comprises of them, and from early times has been known as the 'spring city'. Nowadays many of the hotels claim hot spring water supplies,most notably the Hot Spring Hotel.Despite valuing a rich Chinese tradition, the people of Fujian are known for their nomadic tendencies; for thousands of years the locals have been upping their roots, unfettering family ties and setting sail. Today over 2.5 million overseas Chinese, in no less than 50 countries, claim to have ancestors from Fujian. Even in ancient times, when emperors attached great importance to slightly myopic policies of self-reliance, Fuzhou used to be a major gateway to the outside world. Every year thousands of merchants would sail formonths to and from Fuzhou to trade in tea, china and silk. Fuzhou is nowadays remerging as a crucial seaport city and manufacturing centre of southeast China.Although not the greatest city for travellers, Fuzhou does have a few redeeming factors. The Yu Hill and West Lake Garden are half decent parks and the giant banyan trees that are scattered about are of twisted beauty. TrueMaoists should also head to Wuyi Square to view the massive statue of the great helmsman presiding there.